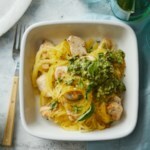 Cut carbs and calories from traditional pesto pasta by swapping out the noodles for healthy spaghetti squash. 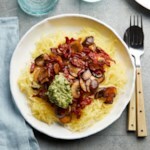 This dish is not only gorgeous, it's also completely mouthwatering and satisfying. 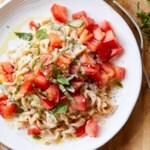 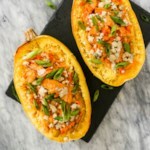 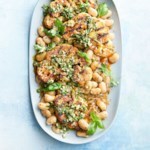 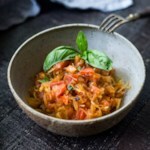 "How to Make Spaghetti Squash with Roasted Tomatoes, Beans & Almond Pesto"